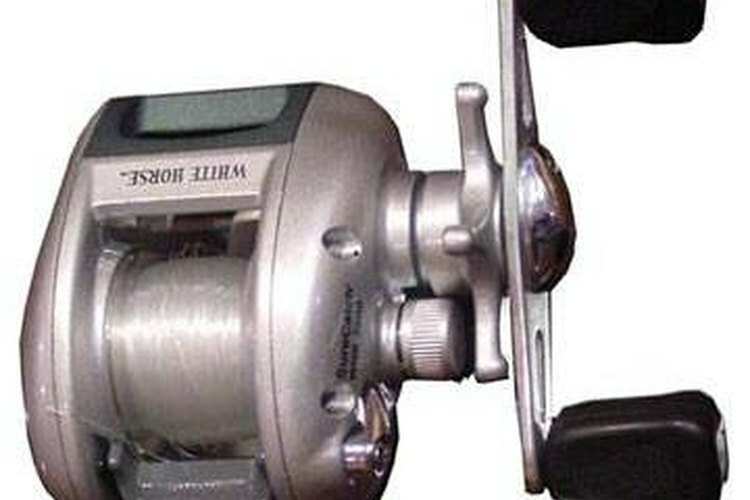 Baitcasting reels are a unique reel type that many fisherman use due to decreased line drag, better casting and less line twist. Baitcasting reels rely on wrapping the line horizontally along a "barrel." A line keeper runs along the length of the barrel, so that when the line is spooled or a fish is hooked, the line comes off evenly and does not twist. This fact assists in fighting the fish and in proper bait trailing. Putting line on a baitcasing reel is actually easier and less of a hassle than putting line on a spinning reel or conventional reel type. Just follow these simple steps to load you reel up with line. Begin by purchasing the line that you will be using on your reel. Take into consideration the type of fishing you are doing, the lures you are using, and your experience. Less experienced fisherman will do better with a heavier line. Slide the line over the barrel of the reel and tie a loop in it. Make sure that you pass the line through the line keeper. Slide the pencil through the hole in the spool of line and have your friend stand directly in front of you and hold the pencil. Begin reeling line in on the reel, allowing the spool to spin freely on the pencil. Reel slowly and check frequently to make sure that the line is spooling correctly on the barrel. Reel in line until the reel itself is nearly full, but the line does not cause any part of the reel to stick or rub on anything. Clip the line off a few inches after the reel and then depress the release button to slowly let line out. Weave the line through the eyelets on the rod until you reach the final eyelet. Pull the line through and then tie the end of the line to the bottom eyelet. Let go of the release button and tighten the line back up. You can also start by weaving the line through the eyelets along the rod before you begin putting line on the reel, thereby allowing you to skip Step 3. Pay attention to how the line is laying down as you reel it on to the baitcaster, as any criss-crossed lines could result in backlash later on.